Shoppers spend a quarter of their beauty budget during the festive season with premium fragrances comprising the majority of purchases in this category. More than half of these are bought as gifts, and more than half of the shoppers are men. So, it should come as no surprise that our work with fragrance brands becomes an important focus for our integrated advertising production teams in the run up to Christmas. 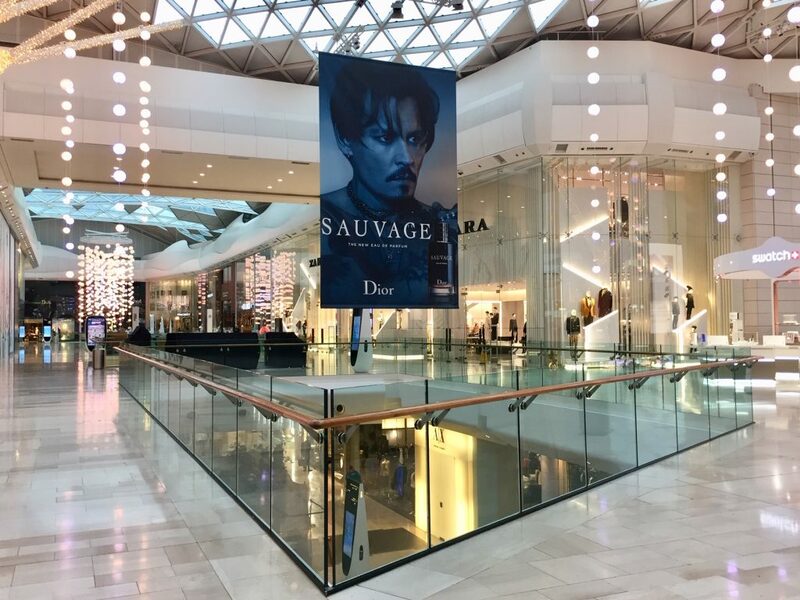 Our account managers have been coordinating work across moving image, digital and press for Dior’s biggest campaign of the year. This year, J’adore starring Charlize Theron is the hero creative with Sauvage’s Johnny Depp and Joy’s Jennifer Lawrence playing important supporting roles. Our post production team have been editing together the three-part campaign for display on shopping mall D6 screens. They have also been supporting the broadcast campaign including looking after the TV admin processes to ensure the smooth-running process of technical QC, clearance submissions and delivery to broadcasters. Our account managers and colour experts have been travelling around the UK to support the print and outdoor elements of the multi-channel Christmas campaign. Attending press passes and QCing proofs, they confidently assure their clients that printed insertions in major UK publications will be perfect representations of the master creative and the outdoor displays will truly shine. If you would like to find out more about our work with Dior and LVMH, click here. To learn more about our fully account-managed playout process for commercials, watch our video.